Dr.Malpani's Blog: Poor quality embryos - was it a sperm problem ? or an egg problem ? 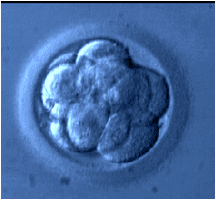 Poor quality embryos - was it a sperm problem ? or an egg problem ? DR. SAIPRASAD GUNDETI, CHIEF EMBRYOLOGIST, MALPANI INFERTILITY CLINIC PVT. 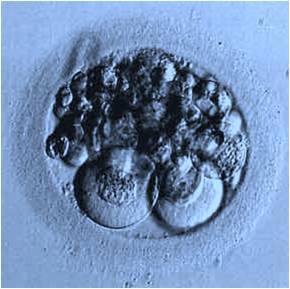 LTD.
Embryo quality is the best predictor of IVF outcome. Patients with top quality embryos usually have very high chances of getting pregnant. By contrast, the chances of conception for patients with poor quality embryos are considerably reduced. Poor quality embryos on day 2 and day 3 are usually due to an egg factor, and not because of a sperm problem. This is because it is the mitochondria in the egg which serve as the powerhouses which drive cell cleavage. 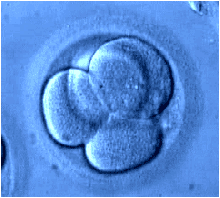 It is poor mitochondrial function ( seen commonly in eggs from older women) is predominantly responsible for slow and poor quality embryos ( fragmentation in early cleavage stage embryos). Sadly, we still do not have a test for checking mitochondrial function in eggs. If we have lots of eggs which end up forming poor quality Day 3 embryos in a good lab , then we can conclude that it was because of a egg mitochondrial problem. What about the sperm ? Once the sperm have fertilised the egg, they have no further role to play in embryo development until after Day 3 ( at which time the embryo has about 8-cells). Now , if we have poor quality embryos on Day 3, it is hardly surprising that we will get poor quality blastocysts on Day 5. However, in some patients, we see a very low blastocyst conversion rate. These patients start off with a high number of good quality eggs, and we get very good quality embryos on day 2 and day 3 (4-cell grade A on day 2 and 8-cell Grade A on day 3. The problem starts only after day 3. The embryos stop growing suddenly ( they arrest) , or they start fragmenting, which means we get only 1 or 2 blastocysts on Day 5 - and sometimes we get no blastocysts at all, even though we had lots of great Day 3 embryos. When we observe this pattern in a good quality IVF lab, then we can conclude the problem is with the sperm. This is called the Late paternal Effect , and occurs because of failure of paternal genomic activation. 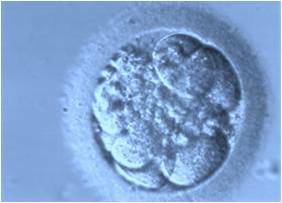 Sadly, we don't have a test for this, and it can be quite heart-breaking to see great-looking embryos on Day 3 fail to form blastocysts. The problem is that we cannot predict this because there is no sperm function test which provide this information. Sadly, the sperm DNA fragmentation tests available today are very unreliable . This is the reason why IVF /ICSI can be so useful - because it provide us with so much valuable diagnostic information. The only way to conclusively prove which gamete ( the wife's egg or the husband's sperm) was responsible for getting poor quality blastocysts is by doing cross-over testing in the IVF lab. Thus, we can fertilise the wife's egg with donor sperm; and try to use the husband's sperm to fertilise donor eggs. In real life, this can be very hard to do in a clinical IVF program, because we don't really have spare human eggs we can use for this kind of testing. Also, please do remember that this applies only in a good IVF lab - bad labs will create poor quality embryos because of suboptimal lab conditions and lack of technical expertise on the part of the embryologist. 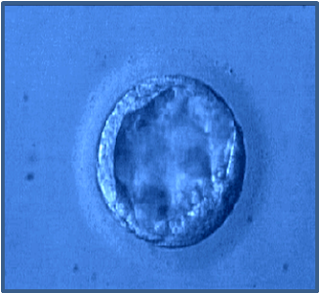 This is why you should go to an IVF lab which does blastocyst transfers routinely . If you allow them to do a Day 2 or Day 3 transfer, you will lose valuable information, and will be no wiser as to what to do in your next IVF cycle. This is also the reason why it is so important that patients insist on getting embryo photos routinely. They provide invaluable diagnostic and prognostic information which can be used to modify the treatment plan for the future, if the current IVF cycle fails. Bouncing back after a failed IVF cycle.